Is your towed artillery not mobile enough or your SPG’s not transportable enough? A simple idea could mean the answer to all of your artillery problems, MOBAT. 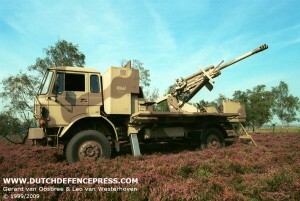 Short for Mobile ArTillery system, it mates a very good howitzer with a normal four or five ton truck. RDM Technology from the Netherlands is the manufacturer of this self-propelled artillery system. RDM uses the ordnance of its own 105mm/33cal howitzer, which was designed in the early nineties. This state of the art piece uses an advanced barrel and is able to fire all existing types of 105mm ammunition, from the most advanced base bleed units to the older types still in stock today. 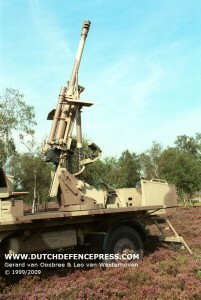 The gun is mounted on its own platform. A simple but also very innovative concept. Mostly because the gun and platform can be mounted on almost any standard truck in the four of five ton class, never mind the make. All the chassis needs is three new brackets to hold the platform in place. These can stay on the chassis so the truck can be transformed from MOBAT to ordinary truck (and back) in just under an hour. MOBAT is completely self-supporting; it needs nothing from the truck. All power, drives, stabilisers, navigation, aiming and munitions storage are build into the platform. This configuration takes nothing away from its achievements. Within ninety seconds of receiving a firing-order on the move, it is able to fire. Thirty seconds after the last round is fired, the MOBAT it is on the move again. 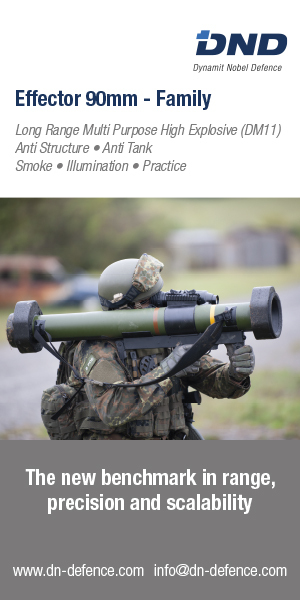 A complete ‘shoot and scoot’ fire-mission of twelve rounds takes less than three minutes, rendering counter battery fire useless. With a maximum load of forty grenades in two magazines on the platform, MOBAT is up with the big boys. A twelve round a minute maximum rate means the 105mm gun can deliver explosive power on a target that matches the heavier 155mm systems that have a lower fire-rate. In the transport-configuration the dimensions resemble that of the normal truck configuration of the carrying vehicle. Fully combat-loaded the complete system weighs no more than 10800 kilograms (based on the prototype DAF4440 truck used, a thirty year old vehicle) and is transportable in a C-130 Hercules. 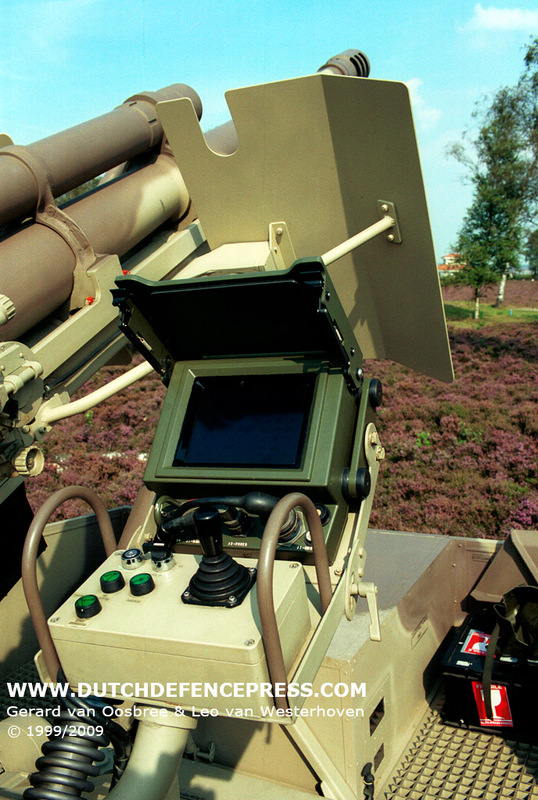 Fire control: MOBAT uses the LINAPS (Laser Inertial Artillery Pointing System) made by BAe Systems. 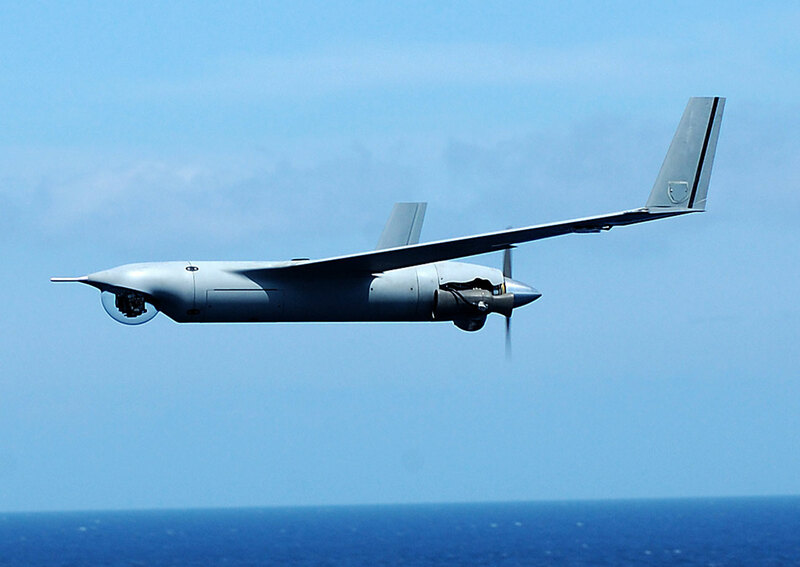 This navigation and aiming system uses built-in inertial navigation using ring-laser gyroscopes, and is supported by GPS. 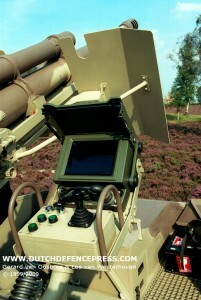 In the cabin of the truck and mounted on the gun are two displays for navigation and data-entry for a fire-mission. All the gunner has to do is aim the tube with a joystick using the aiming data on his display. This means following the arrows for elevation and traverse until they change into circles. LINAPS uses the electrical system of the MOBAT and is already in use with the British army. Peacekeeping operations: MOBAT is very well suited for peacekeeping and peace-enforcing operations. Often enough the use of heavy guns during these kind of operations has the added risk of collateral damage, creating political problems. The deployment of heavy 155mm SPG’s is in a lot of cases the only option when manoeuvrability is the main concern. A big advantage of MOBAT is appearance. With the gun in the forward clamp the whole system is within the contour of the vehicle. Mount a standard tarpaulin and it looks like a normal truck. And that can be very important in peace operations. Now the artillery system can be deployed without raising suspicion or having a to aggressive posture. Competition: MOBAT really only has one competitor, although it is not exactly in the same league. The French state-owned company Giat builds the Ceasar, a similar concept to that of RDM. There are several differences between the two systems that are important when making a choice. The Ceasar uses a Unimog-chassis that is an integral part of the gun system. Therefor the selling price will be that much higher from the MOBAT, for which the customer can use his own trucks already in its inventory. The Ceasar uses the much heavier 155mm/52cal howitzer with bigger range. The size of the gun means it is mounted on the rear of the vehicle giving it a limited traverse along the length of the vehicle. That can cause some problems when there is not enough room to manoeuvre as the truck has to be pointed in the general direction of the target. Because it also fires over the cabin of the truck means it has very limited elevation, restricted to higher angles and no depression at all. 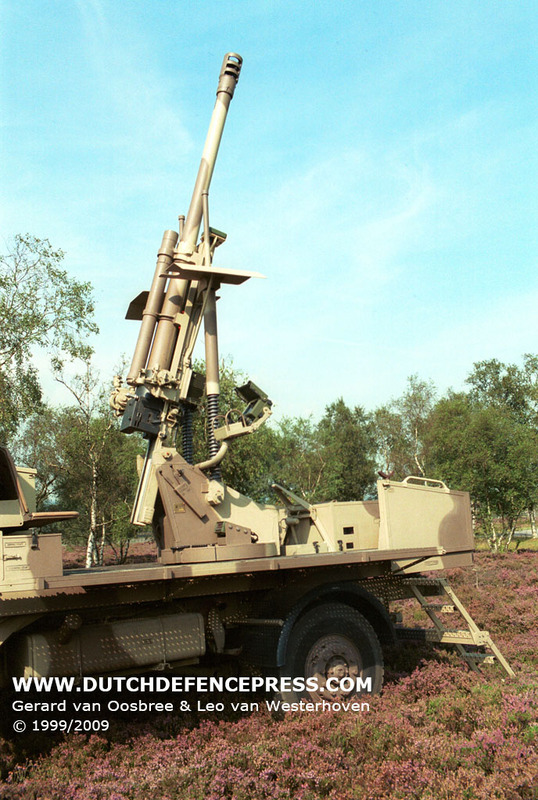 MOBAT on the other hand has a 360 traverse and an elevation-range of –90 to +1260 mils, being able to fire in the direct-fire mode and act as a heavy mortar at maximum elevation. The high weight of the Ceasar means it also has a limited ammunition carrying capacity and has to be accompanied by a supply vehicle at all times. Several other manufacturers have similar ideas to the Caesar, all using the heavy 155mm/52cal guns on heavy vehicles. MOBAT marketing is aimed at rapid deployment and special forces customers. But they don’t forget the customers that can’t afford heavy mechanised guns but want a little more than towed artillery. The ever-decreasing defence budgets will also see the market for these low-cost systems increase. Only time will tell if RDM has hit the bulls-eye.